Which Industrial Floor Coatings Does My Business Need? By CoverTec Tech concrete floor coating systems, durable floor coating products, durable floor sealing products, high quality floor cleaning products, high quality floor coating products, high quality floor sealing products, long lasting wear resitant sealer, odorless floor sealing products, oil and stain resistant sealer, Uncategorized Comments Off on Which Industrial Floor Coatings Does My Business Need? Waterproof concrete sealer. Concrete flooring is very common for many industrial settings, thanks to its low costs and high utilization. But, concrete can become easily stained and damaged by oils, chemicals and other harmful liquids. With our waterproof concrete sealers, such as CoverShield E900, CoverShield E400 WB and CoverShield U140, you can protect your concrete flooring with a waterproof concrete sealer that protects your surfaces from staining and even abrasion. Tile sealer and texturizer. Tile surfaces are another common surface type for many industrial applications. 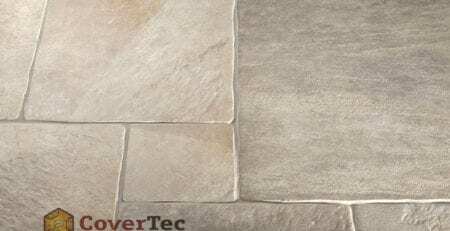 And at CoverTec Products, our GlazeGuard can help protect your high traffic tiles and grout without changing surface appearance. When your tiles and grout are protected from staining and abrasion, you’ll find that you’re scrubbing out fewer and fewer stains. You can also use GlazeGuard to improve tile safety with heightened slip coefficients. Vinyl floor sealer. Vinyl flooring can be incredibly low cost and durable, making it very common for many industrial settings. While the vinyl flooring itself may be somewhat inexpensive, it does incur other costs when it’s not properly sealed. Slippery vinyl surfaces are often made more dangerous through highly expensive polishing that winds up creating downtime and labor costs for the polishing itself. Instead, our Vinyl Guard can help protect your vinyl flooring while keeping a beautiful polished finish. In fact, Vinyl Guard can replace wax floor finishes while increasing the slip resistance and durability of your vinyl flooring. These are just a small sampling of the different industrial floor coatings we’re proud to offer at CoverTec Products. Whether you choose our vinyl floor sealer, tile sealer or waterproof concrete sealer, you’ll be bringing the best protection to your industrial flooring. The right coatings can help lower costs and preserve the strength and style of your industrial flooring. To discover the industrial floor coatings that are your best fit, call (754) 223-2465.